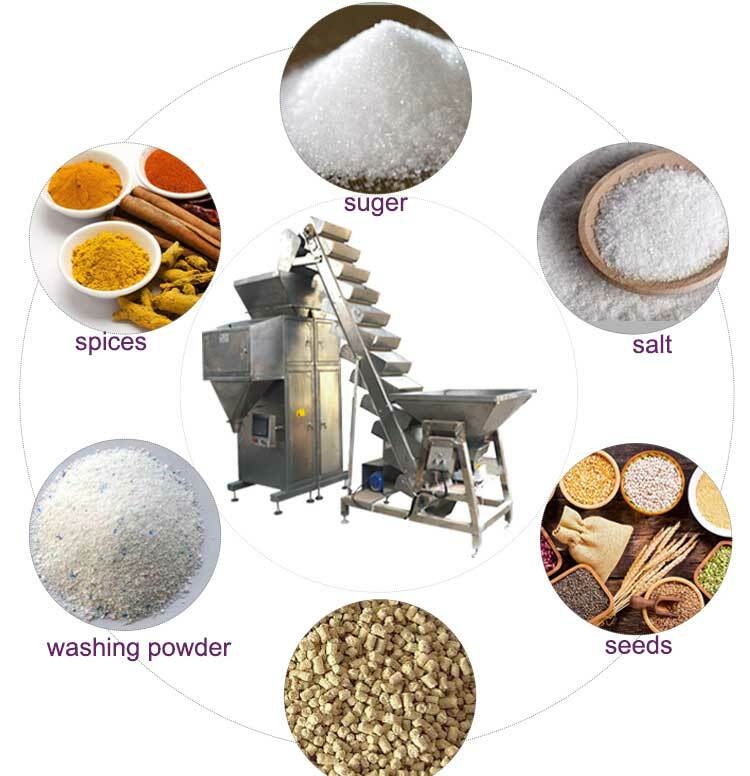 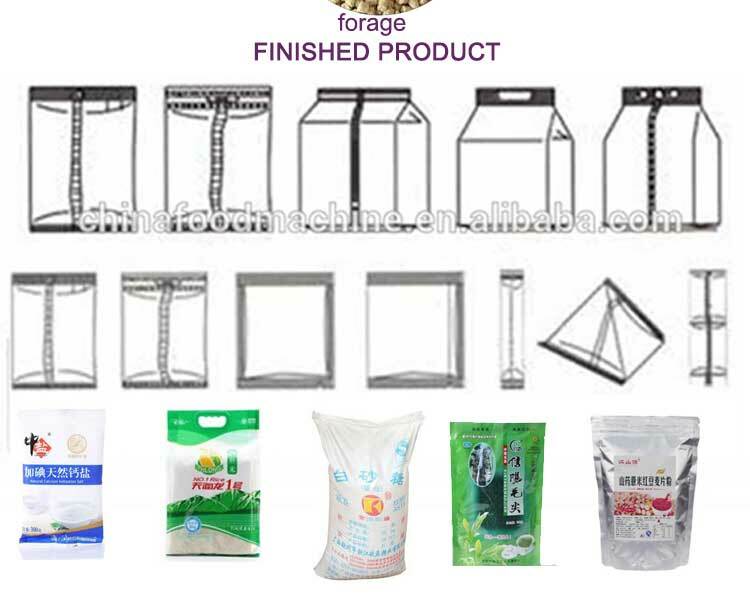 Suitable for liquid better materials such as washing powder, dried material spices, seeds, salt, feed, monosodium glutamate, sugar, etc. 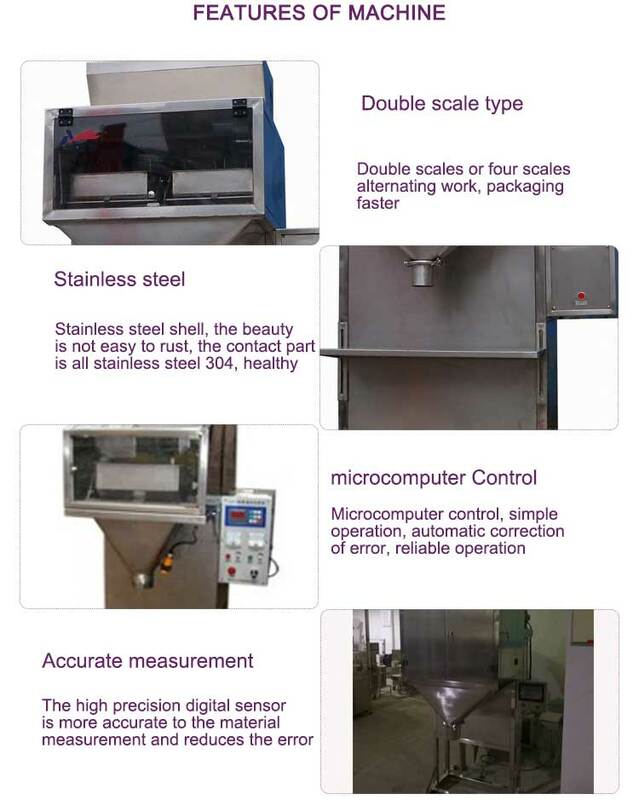 1 high precision, high speed, long service life, good stability, artificial bagging, automatic metering. 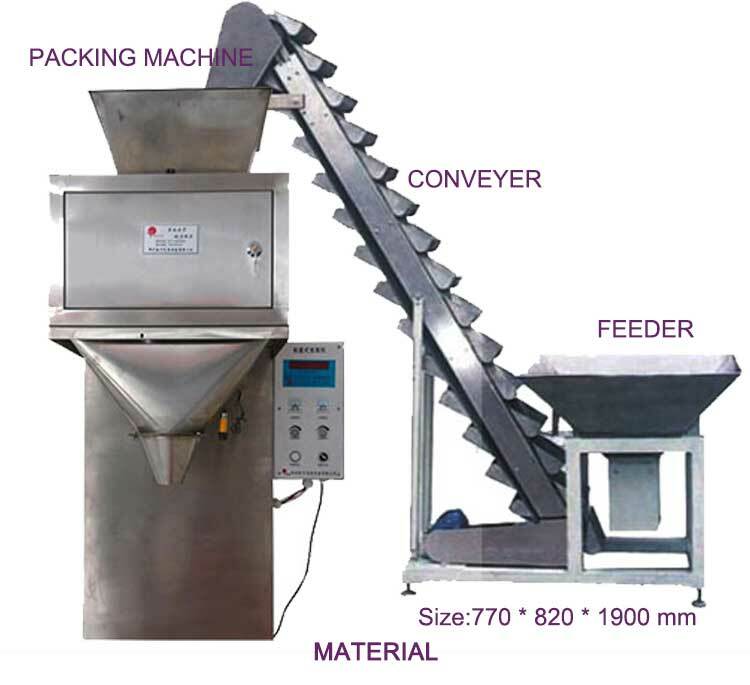 3 design for vibration feeding, electronic ping weighing, overcome the measurement error due to a change in specific gravity of the faults. 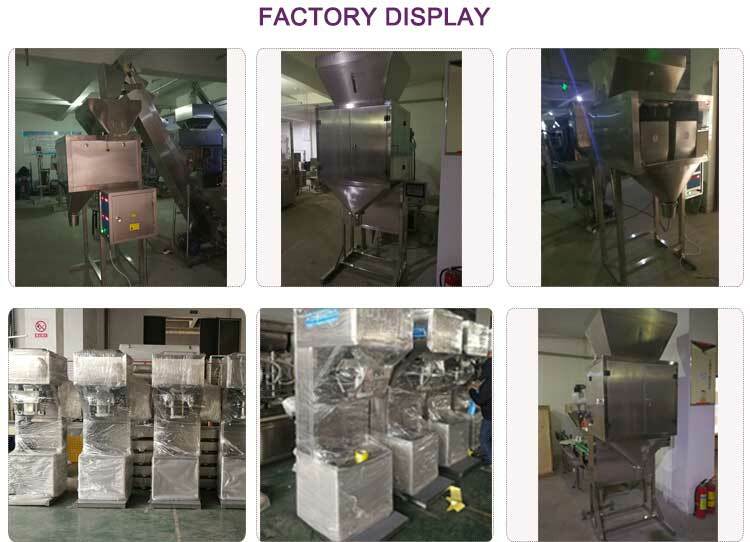 4 digital display, simple and intuitive, continuous adjustable packing specification, any changes in working status, the operation is very simple.